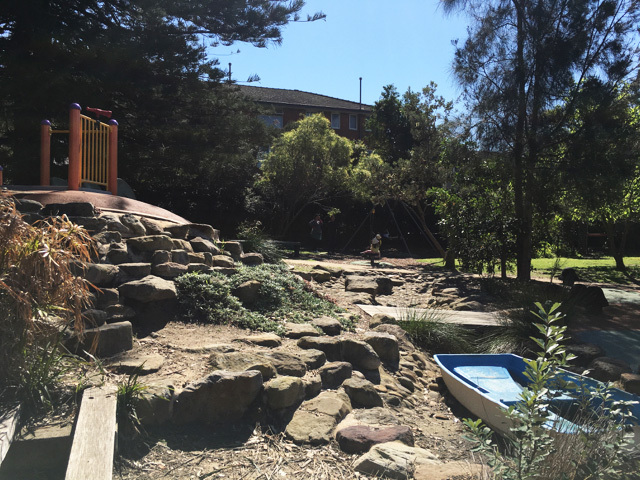 The Corbett Playground in Manly Vale is a cute little community playground sharing space with the Manly Vale Community Garden. Young children and families can enjoy this cute little space which is fully fenced and shaded by deciduous trees. It has a nice size climbing structure, a little boat in a stone creek, a mound with a dual slide and an observation spot, a large basket swing and two twirlers in one spot. It also has small spots of grass, a little house which can be sat in or climbed over, a see saw, a bouncer, a soft caterpillar on the soft asphalt, interphones and mushrooms for sitting or climbing over. 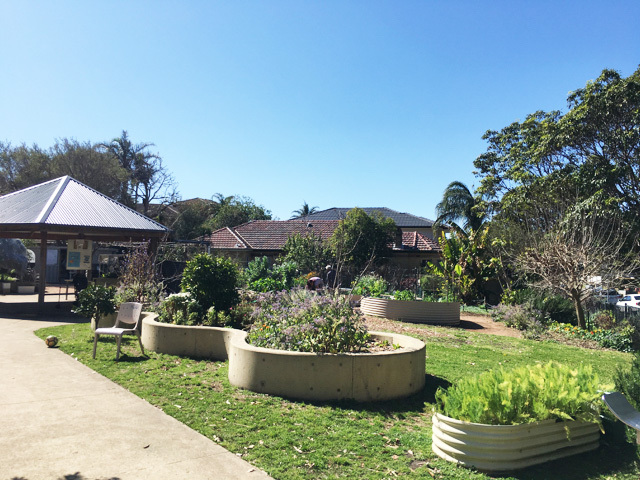 The Manly Vale Community Garden share the area and members of the community garden come on Sundays to plant and mingle with friends and talk about their produce. Little Mister loved this playground as everything was very easily accessible and perfect for his age. We will sure to be back soon. This playground is located at 4 Innes Rd in Manly Vale.